In December 1984, the ship I was working on had a brief stopover in Seattle and I received a first edition hardback copy of this book as an early Christmas present. “What’s the date?” Kim asks. It was that date exactly when I read the words. It was a powerful moment. I was stunned. It was magical. 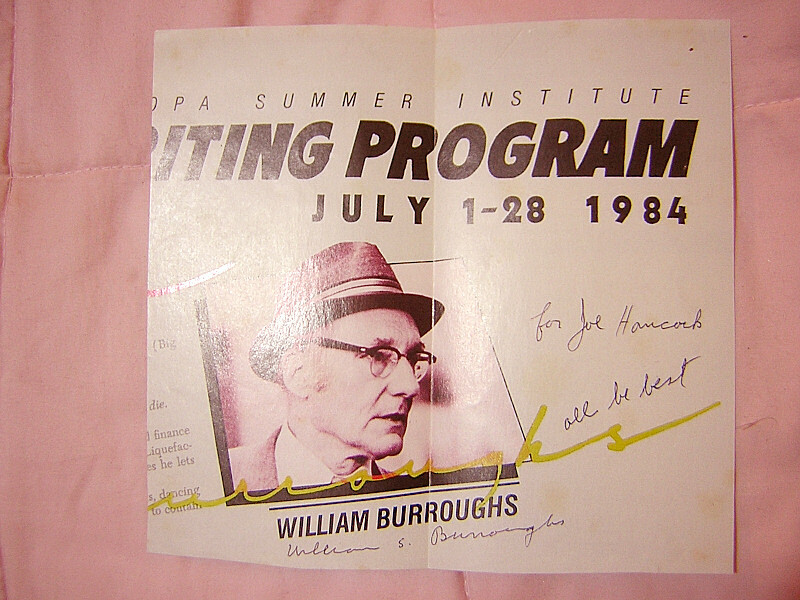 I wrote a critique of the book and sent it with a photo to be autographed by Burroughs, which he did and returned to me. 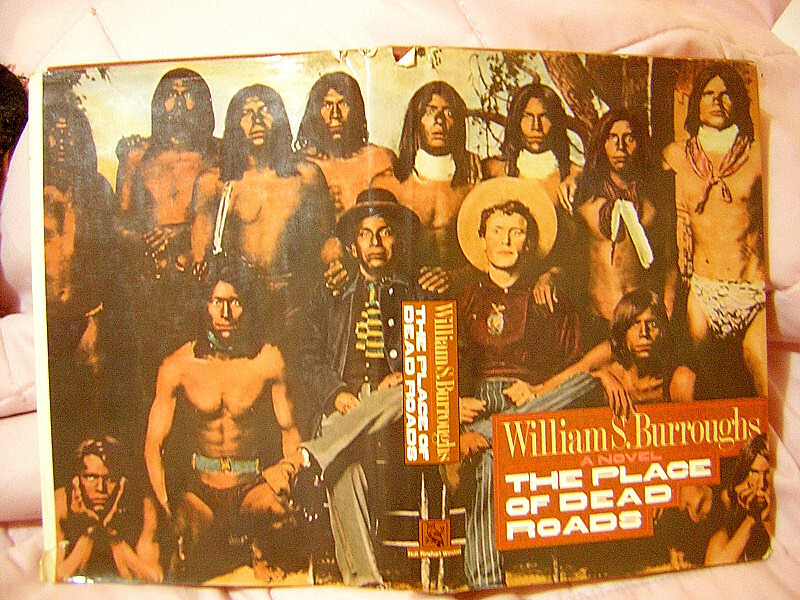 This is one of my favorite books by Burroughs. 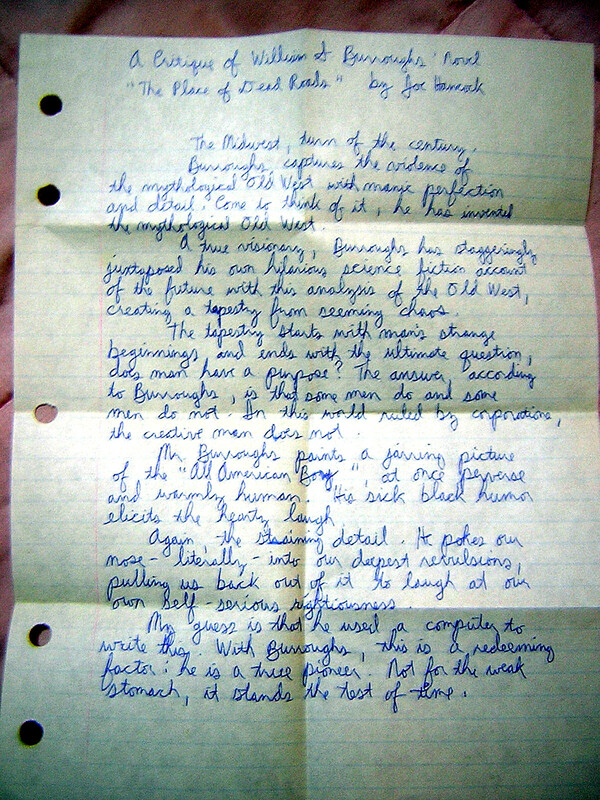 His evocation of place, in little details; his ear for local dialect – particularly the Midwest; his depiction of the everyday interactions of a real relationship; his combination of straight narrative with the fantastical, science fiction; his sense of humor; his social commentary – this is one of the real heights of his art, for me. This is part of one of Burroughs’ hilarious “routines”, little skits in his conversation, writing and spoken word performances. He incorporates his comprehensive knowledge and love of gun lore and creates a new, much more interesting vision of what the Old West was really like. He presaged by many years the sort of realism and humanity that “Brokeback Mountain” brought into the cultural vernacular. I think Burroughs had started to mellow at this point. The hellish nightmare world of his drug addiction and the stifling mind control of the Fifties were no longer in such heavy play. He was older and wiser. He was starting to settle more comfortably in his achievements – in the recognition of his revolutionary, groundbreaking body of work. He’d lived through some heavy times and had been one of the most important players. The playfulness of his routines show the maturing of his art that he’d achieved. Everything was still inevitably gross-out humor. It was just… a little more tolerable, lol. And in reality, life is full of characters whose perversity is merely another facet of their persona, their essence. It’s an honest perverseness – compared to the moneyed class, corporate interests and warmongers that are presently destroying our society. “The Letters of William Burroughs: 1945-1959″. This is the source for those interested in Burroughs’ biography. He urges Ginsberg to accept his queerness; chiding him, almost as you would a child. He writes about the depravity, the hellishness of his addiction – it borders on the unreal. “Literary Outlaw: The Life and Times of William S. Burroughs“. A good biography. It often draws verbatim from his letters, which were subsequently published. And do check out this video: William S. Burroughs, A Man Within (2011.) If you’re a Burroughs fan; if you wonder what all the hoopla is about, his place in literature, the arts, sociology, etc, check it out. It was lovingly created by the director with contributions from those that knew him, loved him and have great insight into his psyche, etc. I had to watch it a second time. For me, having had a long time interest, I find that this video is full of epiphanies and insight about the man. 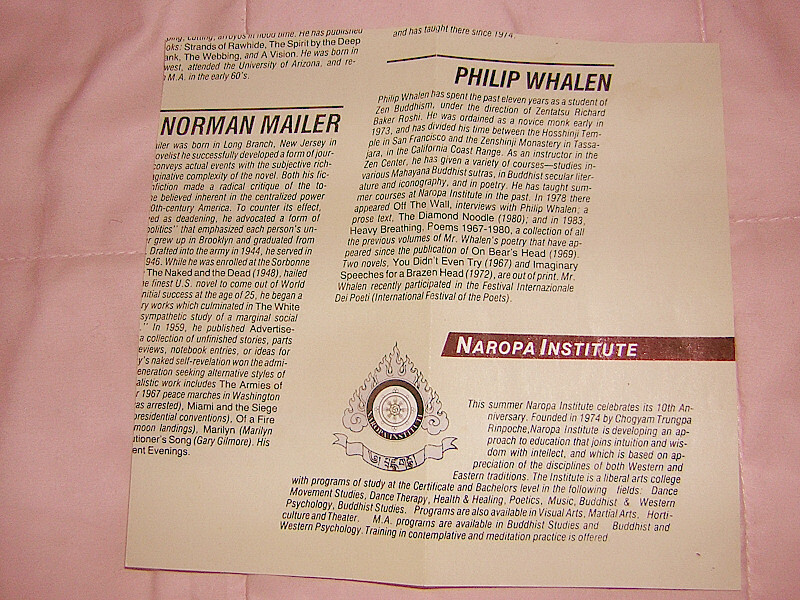 the reverse side of photo, showing some of the teachers – quite a faculty!